A SENIOR British government minister has warned that if Ireland isn’t prepared to negotiate on the so-called backstop, the likely outcome will be a no-deal Brexit and a hard border. 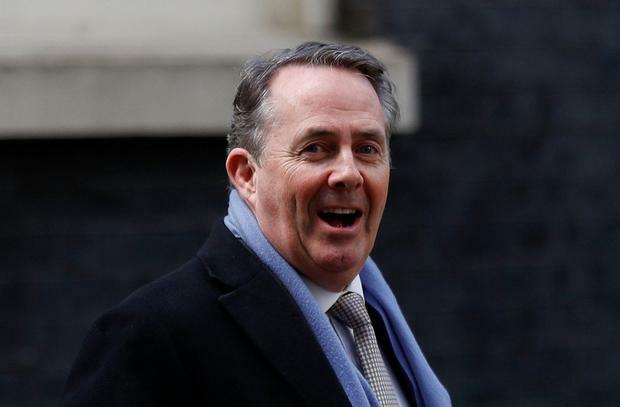 International trade secretary Liam Fox has attempted to ramp up pressure on Ireland and the European Union to renegotiate the Withdrawal Agreement with Britain. I comes after British prime minister Theresa May’s government last week rejected the backstop it had previously agreed and backed a House of Commons vote to dump it in favour of undefined “alternative arrangements”. Mrs May is to return to Brussels seeking changes to the deal. Both the Irish government and the EU have been adamant that the Withdrawal Agreement - including the backstop top avoid a hard border - won’t be renegotiated. He claimed this “seems to me quite irresponsible”. And speaking to Sophy Ridge on Sky News he also made a warning to the Irish government. He said: “If they won’t negotiate on it then they are likely to end up with no deal and the European Union said that’s the best route to get a hard border. He said that if the UK leaves the EU without a deal on March 29 “everyone will suffer more than they need to and Northern Ireland will stand to suffer the most”. He said in those circumstances, the UK will still need to live up to its responsibilities under the Good Friday Agreement and in his view a solution based on regulatory alignment – as proposed in the backstop – will remain the “best and most sensible option”. Brexiteers in the British parliament have claimed that technology could be an alternative to the backstop as a way of avoiding a hard border. Mrs May, writing in the Sunday Telegraph, said that the Hosue of Commons voted to support the Withdrawal Agreement if there are changes ot the backstop. She said: "When I return to Brussels I will be battling for Britain and Northern Ireland. "I will be armed with a fresh mandate, new ideas and a renewed determination to agree a pragmatic solution that delivers the Brexit the British people voted for, while ensuring there is no hard border between Northern Ireland and the Republic of Ireland. "That is what Parliament instructed me to do on Tuesday night." She rejected any suggestion that seeking alternative arrangements to the backstop constitutes "ripping up the Good Friday Agreement". She said: "As prime minister of the United Kingdom, I would never do anything to put that union at risk or jeopardise the hard-won peace." Mrs May argued that under the current Withdrawal Agreement the EU has already accepted the principle of alternative arrangements to supercede the backstop should it ever be required.